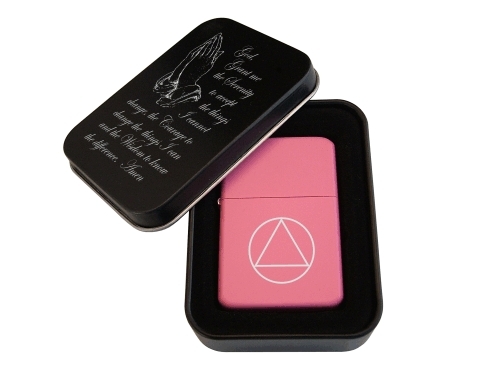 This beautiful matte pink lighter features our familiar Circle and Triangle symbol on one side of the lighter and can be optionally laser engraved with a name, recovery date, or other special message on the other side! I bought this lighter for my friend and was impressed with it's quality. 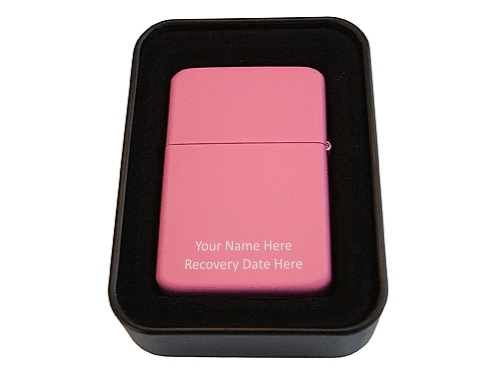 Don't worry that it isn't a zippo. The star brand is really nice and the engraving was perfect. Got it fast with excellent customer service.